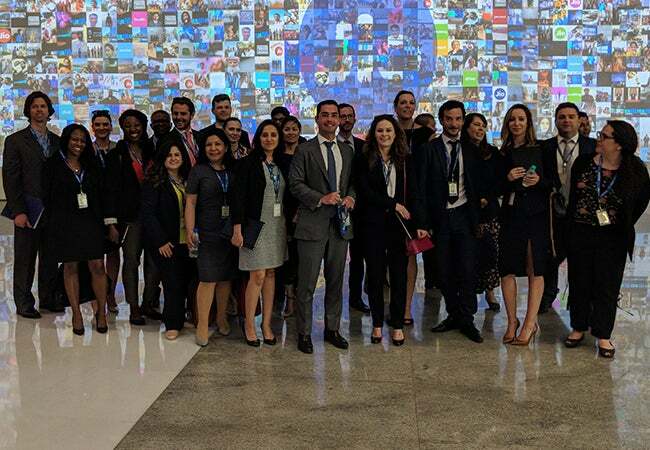 In April, a group of Executive MBA students traveled to Mumbai, India for a Global Study Tour. 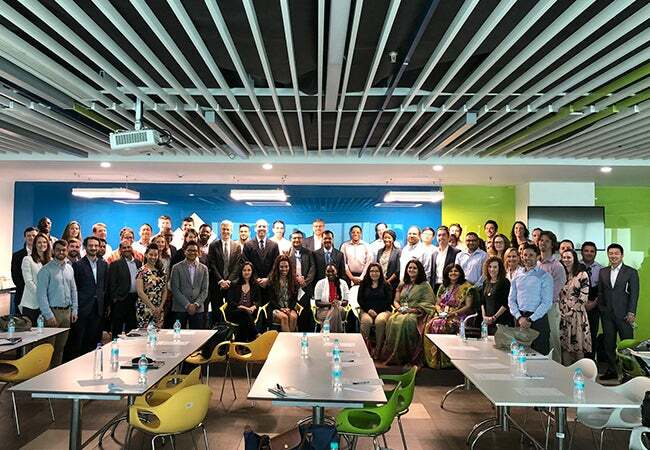 The students met with representatives from a group of companies that included WPP, Burns & McDonnell, Reliance Jio, ICICI Bank and Vu Technologies and also made a stop at the Reserve Bank of India. 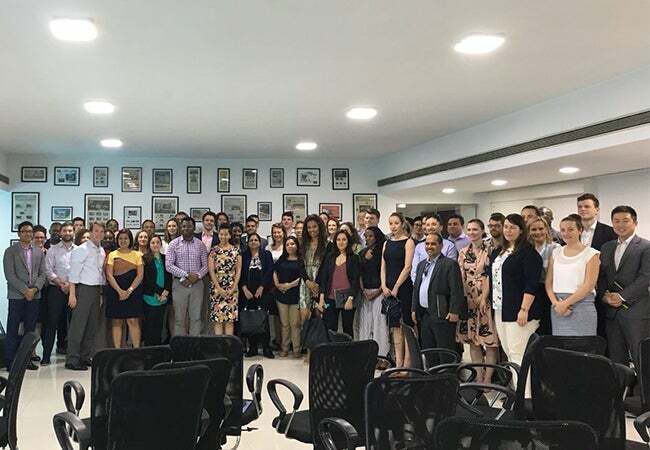 Highlights of the trip also included a sightseeing tour of the city, including stops at the Elephanta Caves, Gateway of India and Mani Bhavan as well as a faculty talk and Stern alumni networking reception.